Tents Manufacturer in South Africa is a reputable manufacturer and industry leader of marquees and tents since 1994, and have since expanded to cater to the whole of South Africa and internationally. We produce and supply high-quality tents, plastic tables and plastic chairs in Durban. What separates us as a tents manufacturer from other competitors is the materials we use, our skilled labourers, and advanced machinery to produce world-class products. Tents for sale in South Africa by one of the leading suppliers in Africa and possibly the oldest since 1994, the company is well-known for its products from tents and marquees, to accessories, tables and chairs. We have made a mark in the wedding, events and conferencing industry over the last 25 years. The company has a top proficiency in the manufacturing of tents, marquees, tables and chairs. We have a professional team to offer top quality and service. The company takes pleasure in introducing itself as one the biggest Tents Manufacturer, Tents Supplier, Tents Exporter, Tents Wholesaler from Durban South Africa. We have a professional team to offer top quality and service with tradesmen that are skilled in making top tents. The company boasts itself as one of the biggest exporters and wholesalers of tents which are supplied and manufactured from our branch in Durban, South Africa. 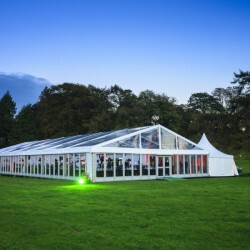 Our low prices do not mean that we compromise on quality, all our marquees and tents are manufactured to the best standards. We are committed to manufacturing excellent tents and marquees at the most competitive prices. Try us for value and service! Tents are becoming ever so popular in a rapidly growing industry, as they provide an economical alternative and solution to a number of uses not simply for camping, weddings, parties & events or shelter tents but it can be used for temporary classrooms, health centers, mining explorations and accommodation for staff and refugees. We make custom made tents to fit any size or specifications to meet your personal requirements. Suppliers of high-quality tensile and marquees across border to countries such as: South Africa, Mozambique, Angola, Swaziland, Kenya, Botswana, Zambia, Zimbabwe, Namibia, Nigeria & Lesotho. © Copyright 20-04-2019 04:21:10 by Tents Manufacturer. All Rights Reserved.